Since most of Operation Santa is funded through donations and volunteer hours, the monetary cost of Saturday’s event was about $2,000. Photo: Zachariah Hughes, KSKA. For the last 58 years the National Guard has brought presents and holiday cheer to remote communities across Alaska as part of Operation Santa Clause. But the festivities over this past weekend also draw attention to the serious environmental challenges rural communities are coping with. 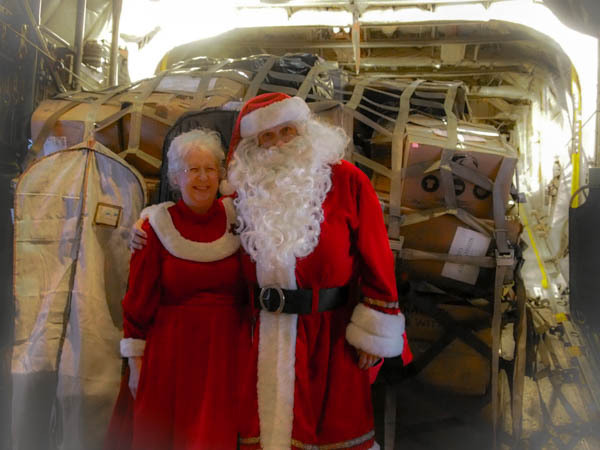 Operation Santa Clause is a massive undertaking, requiring months of coordinating to bring dozens of volunteers, military personnel, presents, and ice-cream to communities hundreds of miles from Joint-Base Elmendorf-Richardson in Anchorage. 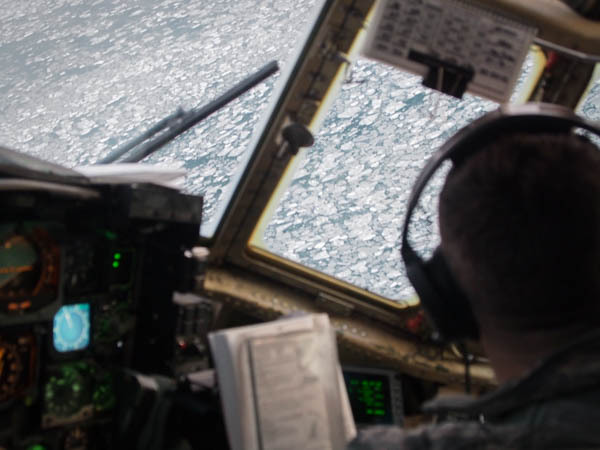 To do it, they use a C-130, the same plane paratroopers jump out of during war. The Clauses doled out gifts to around 300 kids from a cargo-load of about 2,500 pounds. Photo: Zachariah Hughes. There is also a small battalion of volunteers who organize the event every year. They got a later-than-normal start usual this year because of the federal budget sequester, and scrutiny of misconduct within the Alaska Army National Guard. 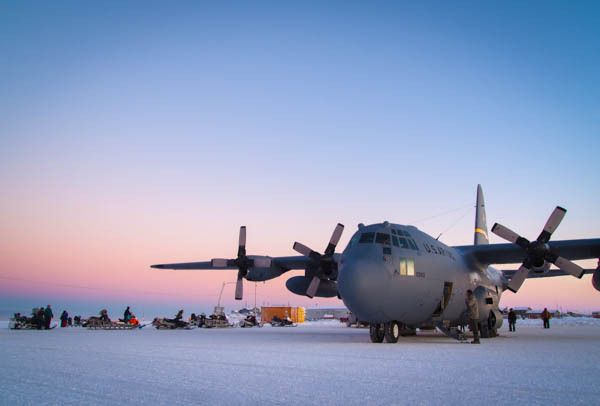 But on Saturday, partners from the Red Cross, Salvation Army, and Anchorage businesses helped guardsmen unload 2,500 pounds of donated cargo from the plane’s giant ramp onto a local fleet of sleds and snowmachines at the runway in Shishmaref. 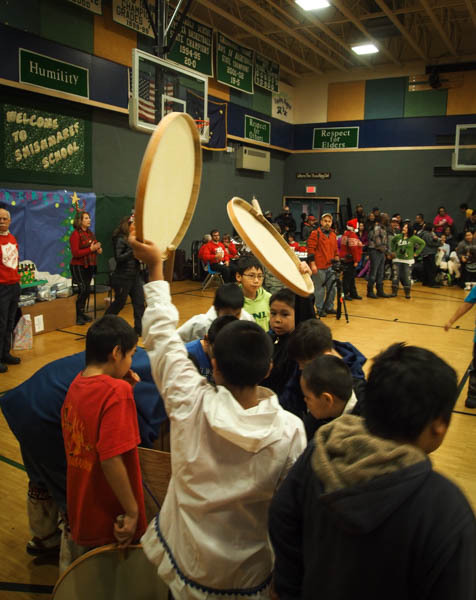 Among the cargo were enough instruments for a small brass band to play traditional Christmas songs inside the school gym as presents were piled atop tables, and bleachers filled with families. But it wasn’t the only traditional music performed. After an introduction by the principal, a group of young men flanked by children drummed and sang, bringing up a handful of volunteers in Christmas sweaters and soldiers in fatigues during the invitational dance. Then Santa and Mrs. Clause debuted, posing for photos while their helpers guided kids to the gift tables. In addition to toys, there were practical items like 1,000 donated backpacks. Boys eagerly grabbed at drums after the adults had taken up their own, and took turns drumming and dancing. Photo: Zachariah Hughes, KSKA. Beyond material support and good cheer, Bennett believes bringing the focus of so many people all the way to Shishmaref is a crucial aspect of the event. “It’s exciting to see all of these people coming into Shishmaref so that they know that we’re up here. We’re up here, we do exist, we do have some issues that we need the outside world to see and to hear about, and if there’s help available for different things we do need up here this is growing the awareness,” she explained. The biggest issue facing Shishamref is the accelerating pace of coastal erosion threatening the thin barrier island it is built on. With climate change delaying freeze up in the Bering and Chukchi seas, the fall storms slamming the region each year present a danger that weighs heavy for many. In selecting where to bring Op Santa to each year, the organization’s board works with the state’s Office of Emergency Services to identify communities that have been hard-hit. This year’s site choices, Newtok and Shishmaref, highlight that even without a particular disaster climate change is creating serious and on-going hardship for coastal residents. And unlike an earthquake or a flood, there’s no end or rescue in sight. On top of the ice cream sundaes, Davis is glad Santa’s cadre of volunteers helped bring the community’s needs into sharper focus. Though it’s December, firm sea-ice hasn’t yet formed in the waters surrounding Shishmaref, hampering subsistence activities. Photo: Zachariah Hughes. Organizers are quick to point out that Operation Santa Clause is not a charity, it is a good will event. And Davis thinks that is the right attitude to begin working together with outside partners, both to boost morale and to get to work addressing climate change.